Most beginners think that using any golf ball will do. Just steal some range balls and head to the course. Besides, it’s just a ball, right? Wrong! Not all golf balls are made equal, and using the correct one can help give you the extra confidence to elevate your game. Price – There is no point in using expensive, tour level golf balls like the Titleist Pro V1 which cost around $5/ball. As a beginner, you are going to lose some balls no matter what. The thought of losing these expensive balls will just add stress and pressure each time you swing. Brand – Unless you are a sponsored professional, there is also no point in being brand loyal. Your clubs might be from Callaway, but that doesn’t mean you can’t use balls from Nike, Wilson, or other brands. You should try all golf balls, until you find one that works best for you. Layers / Compression – Golf balls are generally separated by how many layers it has, and compression levels. Nowadays you can buy golf balls that are made of up to five pieces/layers. More layers (3-5) generally means you can produce more spin with the ball. Less layers means less spin, but better distance. For beginners, we recommend 2 layer or 3 layer golf balls. Having less spin, will help mitigate your hooks/slices from spinning out of control. The extra distance can also give you a confidence boost. High layer golf balls are meant for pros/advanced level players that can really control the spin on their shots. Lower compression balls are also better for beginners, as they are softer feeling, and go farther. Below are some of the best beginner golf balls that we have found based on price, construction, and customer feedback. This is a great set of golf balls for beginners as it is incredibly cheap ($0.77 per ball). The pack includes 18 golf balls that utilize two piece constructions for a longer drive. The titanium core makes sure that every swing you make will deliver the maximum distance possible. These golf balls are also quite sturdy and durable as it is coated with Surlyn material. 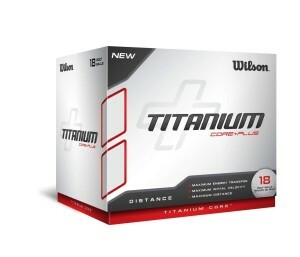 The Wilson Titanium is a great golf ball to hone your skills as a beginner. They are cheap, and get decent distance. Obviously, they won’t react or spin as well as top-end premium golf balls, but that’s not that important if you are still a beginner. At less than a dollar per ball, these are perfect for beginners, as they are cheap enough that you won’t worry so much about losing them, and can swing freely. Buy the Wilson Titanium Ball here! 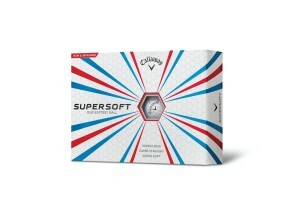 If you want to go a bit more premium, than you should check out the Callaway Supersoft Golf Balls. Touted as the softest golf balls that Callaway has ever developed, these golf balls have a 35 compression rating and are currently among the softest in the market today. This is one of the best golf balls for beginners and those with slower swings. The extremely low compression means lower backspin and farther distance travelled. The lower spin also results in a straight flight which is great if you are looking to enhance your accuracy. This is great for beginners, as lower spin will also help mitigate your slice / hook. These golf balls feel great to hit, and are some of the best on the market — not just beginners. At $1.65/ball, they are more expensive than the cheapest balls on the market, but still very reasonable. You can also buy the Callaway Supersoft golf balls also come in variety bright colors (yellow, pink, orange) to match your style, and make finding them a bit easier. Buy the Callaway Supersoft Golf Balls here! Sick of always looking for your ball? One of the most annoying things for beginners is constantly having to look for your ball after you hit it into the rough. Well, worry no more — the Chromax M1x golf ball is here to help! The patented design uses a reflective inner layer with translucent outer layer to make the ball easier to see in the air, and on the ground. Combined with its metallic color finish, your days of searching endlessly for your ball is over. The Chromax M1x is not just for looks. The 2-piece ball was specifically designed for beginners or players with lower swing speeds thanks to its low 75-compression rating. Low compression means better distance on your drives! 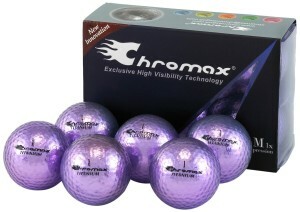 Buy the Chromax M1x Golf Balls here! 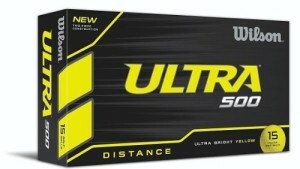 Another great beginner golf ball from Wilson is the Ultra 500 Golf Balls. These two-piece golf balls are all about distance. They feature a titanium core and a cut proof cover to help distribute the force of your swing evenly throughout the ball and reduce backspin for a longer drive. The reduced backspin also helps in increasing accuracy as you will notice that each swing will fly straighter. The outer layer is also very durable….ultra durable some may say. The Ultra 500 Golf balls are available for purchase in bright yellow color, which makes finding your ball much easier. For just about $1/ball, these are very affordable and are easily some of the best golf balls for beginners. Buy the Wilson Ultra 500 Distance Golf Balls here! Get the white color here! The patented Warbird core by Callaway uses a larger yet softer core that helps deliver faster ball speeds for greater distance. It also decreases the thickness of the of the golf ball outer layer that enhances the feel of the impact without affecting the results of distance travelled. The hex aerodynamics once again returns and has been improved to better reduce backspin for a longer flight and more controlled trajectory, even with lower swing speeds. Overall, the Callaway Warbird gives you great distance, but feels like a rock to hit. Many beginners may not like this hard feeling. The Callaway 2015 Warbird Golf Ball is available in two color options: traditional white and optical yellow for better visibility. At $1.50/ball, they are very reasonably priced. 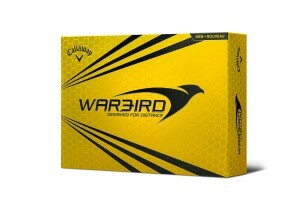 Buy the Callaway 2015 Warbird Golf Balls here! Really want to save some money? Don’t care about having brand new packaging? Then, you should definitely consider buying some second-hand golf balls. They generally come in large packs of 50, and are extremely cheap at around 50 cents or less per ball! Of course, you are bound to receive some duds, or balls that are too scratched up to play, but overall most will be completely fine. If you are lucky, you might even get some premium, top-end golf balls in your pack! As a beginner, you are bound to lose many golf balls, so using second hand golf balls is one of the most cost-efficient ways to learn the game. 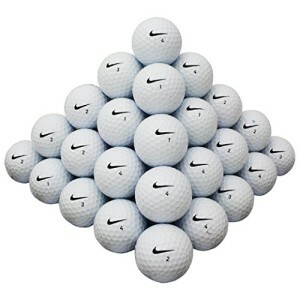 If you are just starting out, and want to save some money, then you should definitely consider buying used golf balls. Check out other used golf balls here! Those are our choices of the best golf balls for beginners. You should try using different types of balls, until you find one that works best for you. Let us know which is your favorite! ‹ What are the Best Golf Pants?